Expedition island, located in the center of Green River, Wyoming is a National Historic Site, commemorating the starting point for two expeditions down the Green and Colorado rivers by Major John Wesley Powell in 1869 and 1871. On these journeys, Powell completed the exploration of the last, large unknown land area in the continental United States, including the Grand Canyon. Powell also named many of the features and areas he saw along the way, such as 'Flaming Gorge'. Chances are if you're looking for an enjoyable stroll, you'll like the path that encircles the island. This paved pathway is also lighted for evening walks. Other features of the island include plenty of picnic areas, a playground, restrooms and access to the Green Belt Nature Walk. 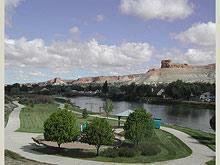 Many of Green River's best summer events are held here on the island. 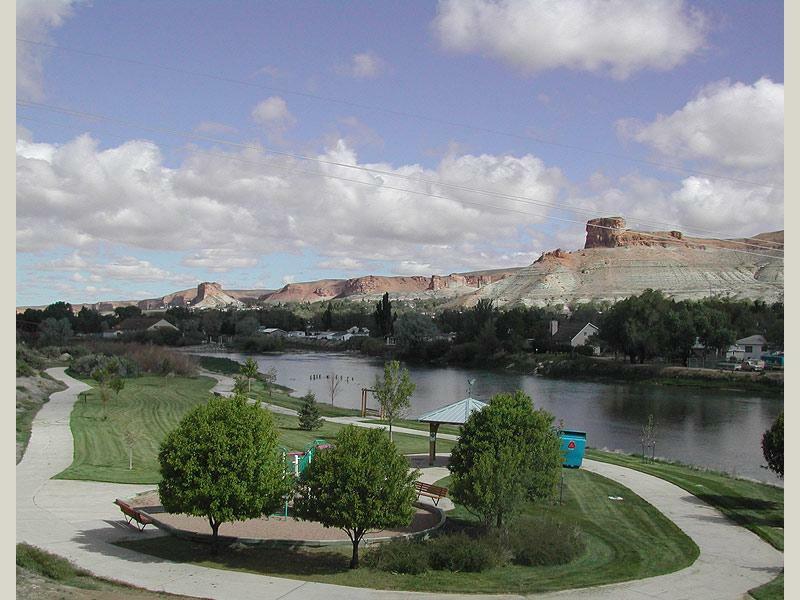 In the center of Green River, Wyoming, turn south off of Flaming Gorge Way onto N 4th West. Continue under the railroad overpass and then turn right on S 2nd East. Thank you for visiting http://www.flaminggorgecountry.com/Expedition-island! Be sure and revisit flaminggorgecountry.com frequently for content updates and more.